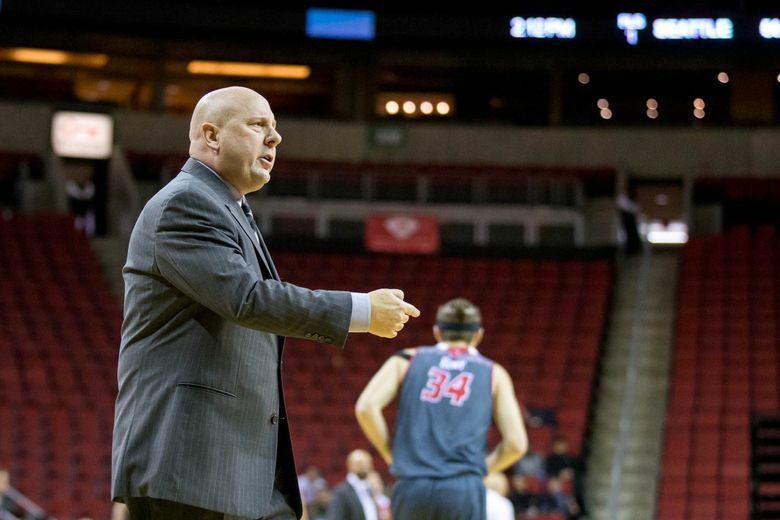 The victory for Seattle U coach Jim Hayford came against Eastern Washington, the team he coached the previous six seasons, and against Eastern coach Shantay Legans, who was Hayford’s top assistant there. When it was all over, and the final question had been answered, Jim Hayford let out an audible sigh of relief. “I am glad this day is over,” he said. 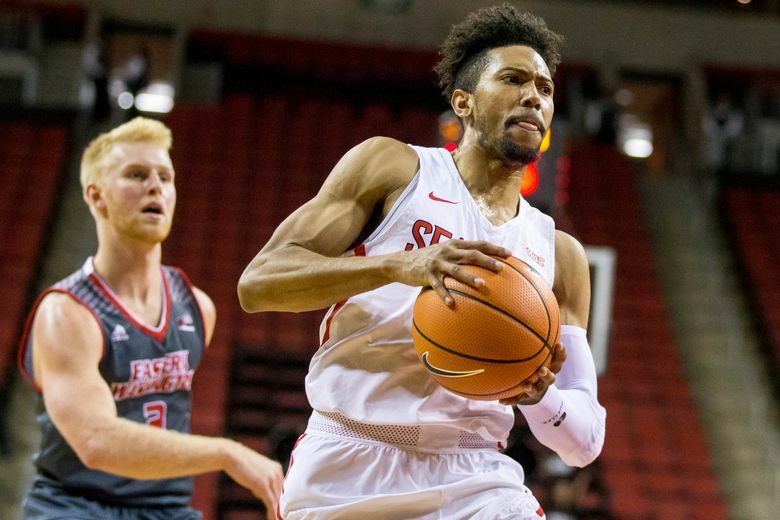 And that was after watching his Seattle University men’s basketball team win 84-65 Sunday afternoon in what he called his team’s most complete performance of the season. 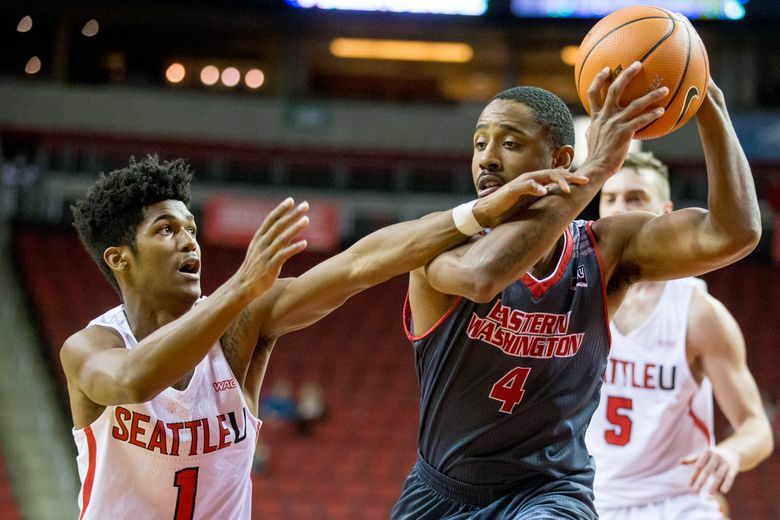 But that it came against Eastern Washington, the team he coached the previous six seasons, and against Eastern coach Shantay Legans, who was Hayford’s top assistant there, made it bittersweet. 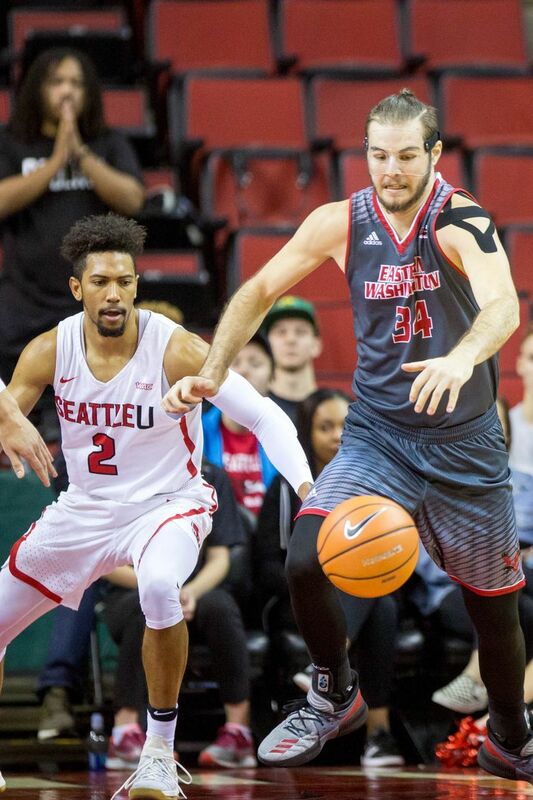 Last year, Hayford’s Eastern Washington team beat Seattle University twice, both times in double overtime. The game Sunday lacked any of that suspense. Hayford’s Redhawks led 43-30 at halftime, then, after Hayford implored his team to continue that effort in the second half, it responded. Seattle U went on a 20-4 run to open the second half. 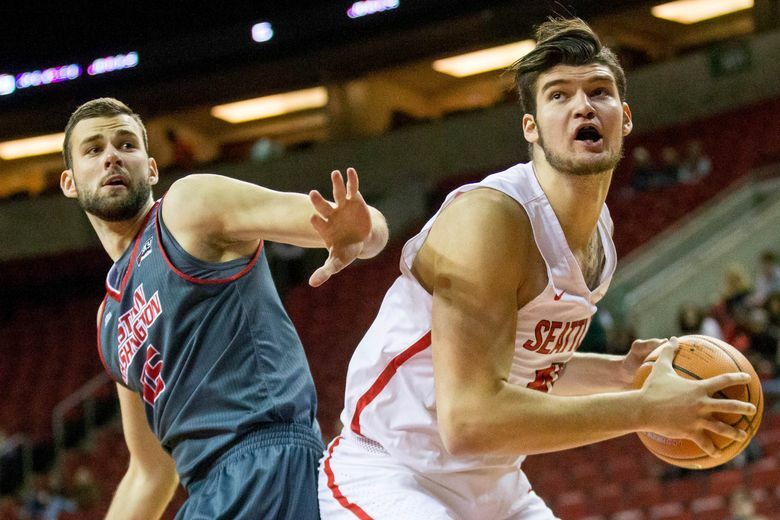 That run, which ended on Matej Kavas’ second four-point play of the game, gave Seattle U a 63-34 lead with 11:40 remaining. The lead reached as many as 32 points at 71-39 with 8:23 left. “I was thinking let’s go to a running clock and just get this thing over,” Hayford said. 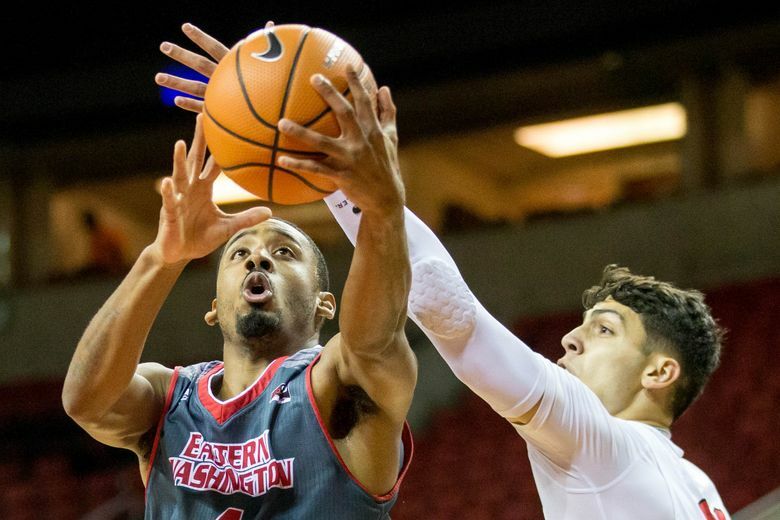 He didn’t get his wish with the running clock, and Eastern Washington made the score a bit more respectable with a late push. “They showed their character,” Hayford said of his former players not quitting and making the run. 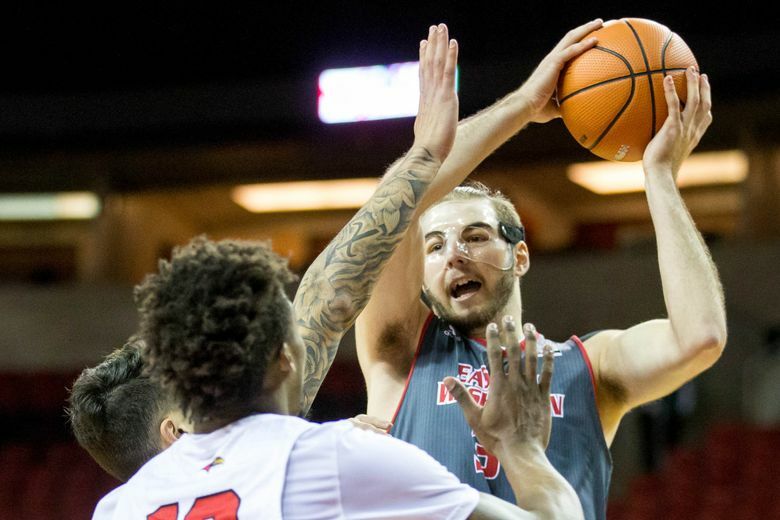 Kavas, a 6-foot-8 sophomore from Slovenia, finished with 26 points on 9-for-13 shooting. He could not remember how many four-point plays he has had, but was certain he had never had two in a game before. 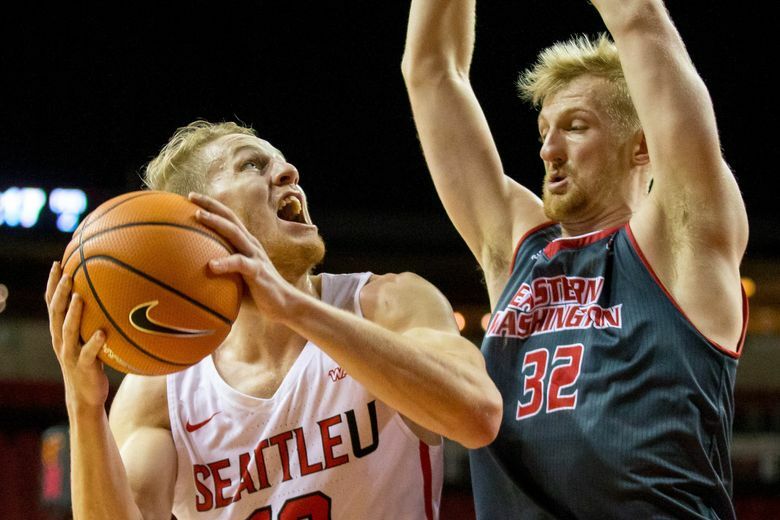 He is just as certain that Seattle U, which is 5-4 and has a winning record for the first time this season after winning three in a row, is headed in the right direction. “We are feeling more and more comfortable each game,” he said. 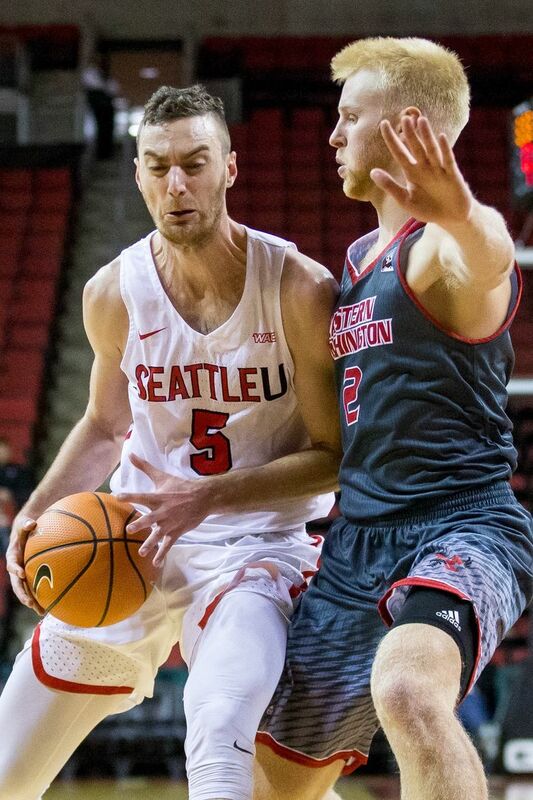 Seattle also got big games from graduate transfers Josh Hearlihy and Jordan Hill. Hearlihy, who came from Vermont, had 20 points, and Hill, who played at Wisconsin, had 13 points and eight assists while running the show as the point guard. 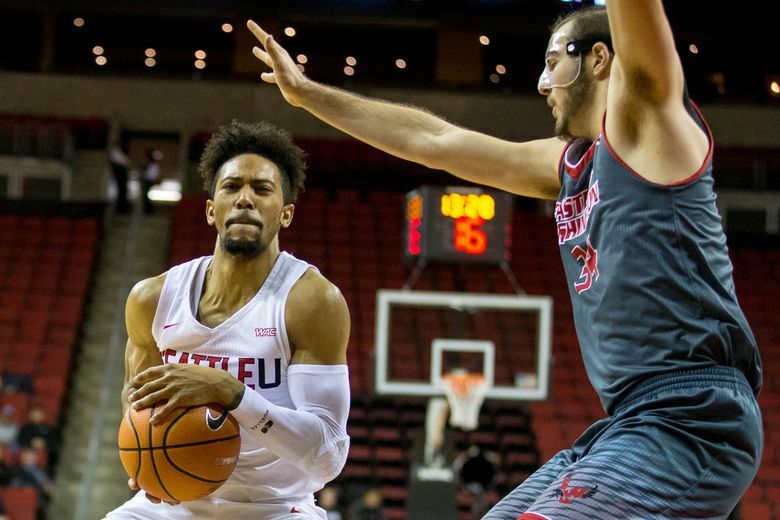 There were few tense moments for Seattle U on Sunday, but one came after Eastern went on an 8-0 run to pull to 36-28 with 2:24 left in the first half. But Hill stopped the Eagles’ momentum with a three-pointer, then after an Eastern turnover, he fed Mattia Da Campo for a layup. The Eagles never threatened again. Hayford had told his players a few days earlier not to worry about trying to win the game for him, but they didn’t listen. “He told us not to want it for that reason, but we all huddled up, and we said we had to win this one for Coach and let him know he made the right choice,” Hill said. 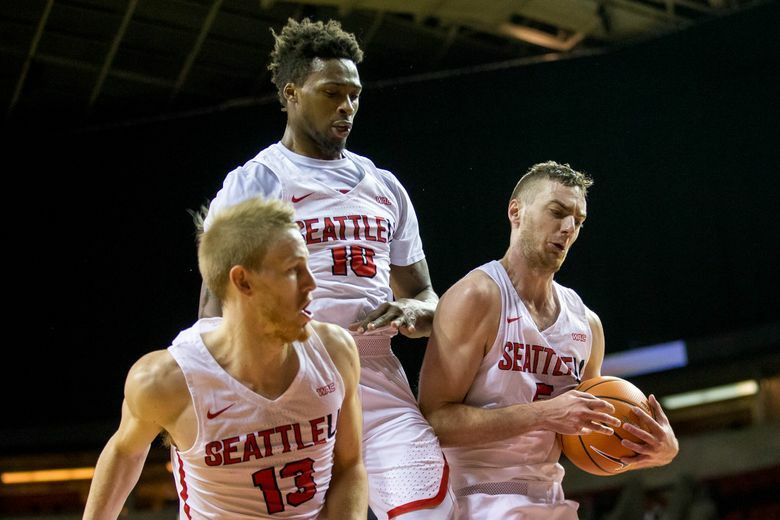 It certainly looked that way Sunday, even if the Seattle U coach didn’t enjoy it all that much.